"Yasmin Soto is the Velasco Group Marketing Manager. 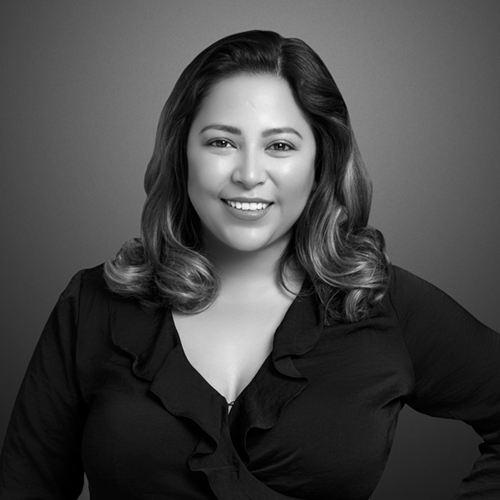 Yasmin started her real estate career in 2009 as the Executive Assistant to the Broker of Stevensen & Neal Realtors in Campbell and assisted in all aspects from escrow coordinating management to, bank owned foreclosures sales , short sales, and regular single-family purchase transactions. Yasmin possesses strong organizational and customer service skills, with ability to prioritize and remain focused under pressure. Over 13 years of office management experience, administrative specialist and certified CCRM property manager. Fluent in English and Spanish (reading and writing). Yasmin is on her way to becoming a licensed real estate agent and is excited to grow her career with Velasco Group and The Agency. During her free time, she enjoys outdoor activities, travel and spending time with family and friends."